The New Wide Eye: In 2018, agencies can no longer be neutral. Values matter. 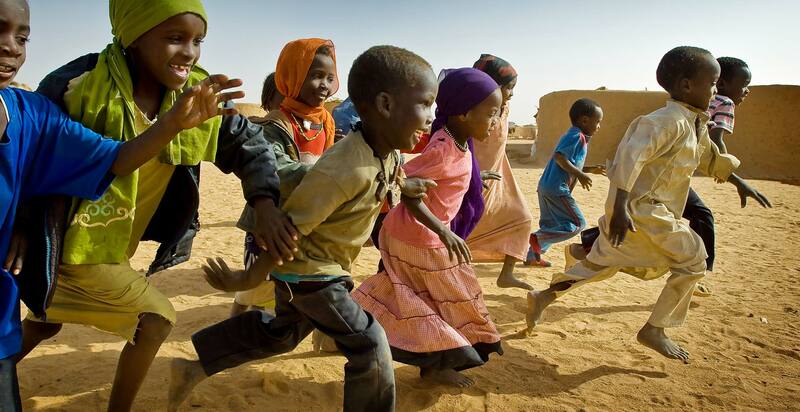 The Tent Partnership for Refugees is mobilizing the private sector to improve the lives & livelihoods of more than 20 million displaced men, women & children. 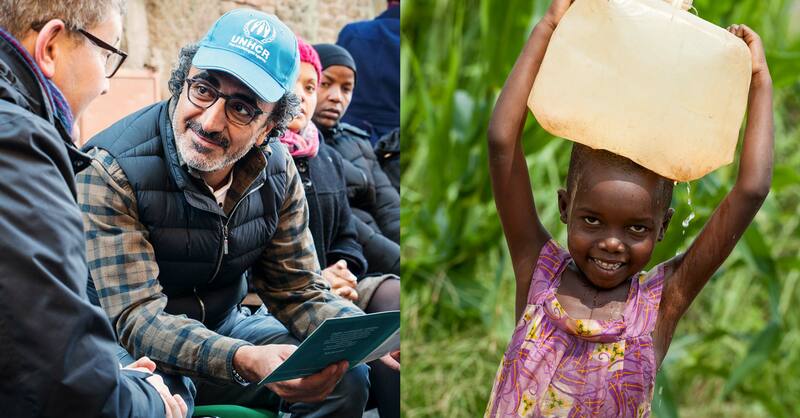 Founded by Chobani CEO Hamdi Ulukaya in 2015, the Tent Partnership for Refugees mobilizes the private sector to improve the lives & livelihoods of the more than 20 million men, women & children forcibly displaced from their home countries. They do this by working with businesses to develop and implement concrete commitments to support refugees. 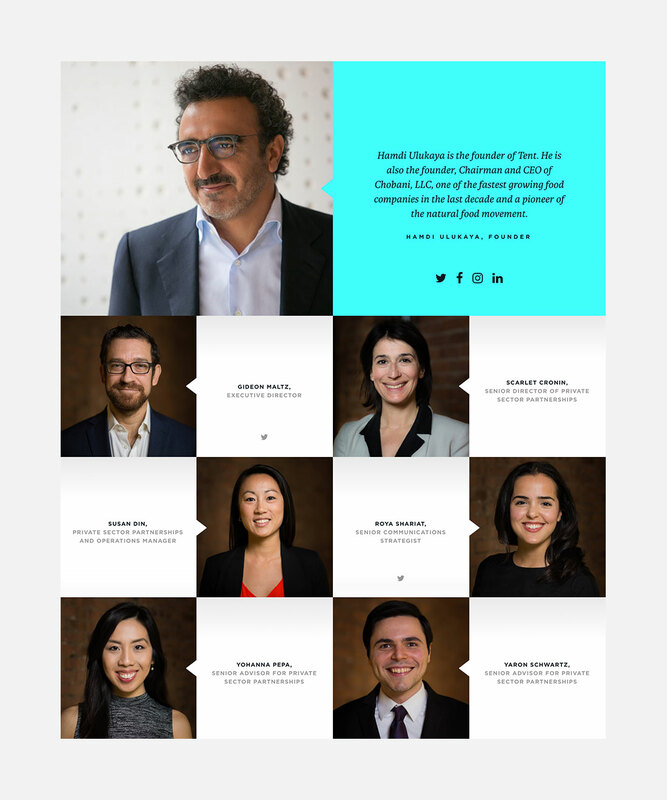 Recognizing the urgency of the refugee crisis and the unique opportunity the private sector has to improve the lives of refugees around the globe, Tent began scaling their team and internal resources. Their network of corporate partners had grown from 1 to 70 in just two years, and they were ready to take the next steps. To support that strategic growth, we were brought on as a partner in taking their vision, communications goals, and core messaging and transform them into a fully realized brand identity and digital presence. When we first met with the Tent team it became clear that they struggled with some common issues that face quickly-growing organizations. Their visual brand was no longer aligned with their mission and they managed a confusing set of tools and systems that did a disservice to their work and users. While they had incredible stories of success around the globe, an impressive list of partners, and a clear vision for the future, they needed help translating that into a visual brand, creative assets, and a website that communicated that success and inspired others to join. We approached this project strategy-first, starting our discovery process with in-person meetings in the Tent office in NYC. 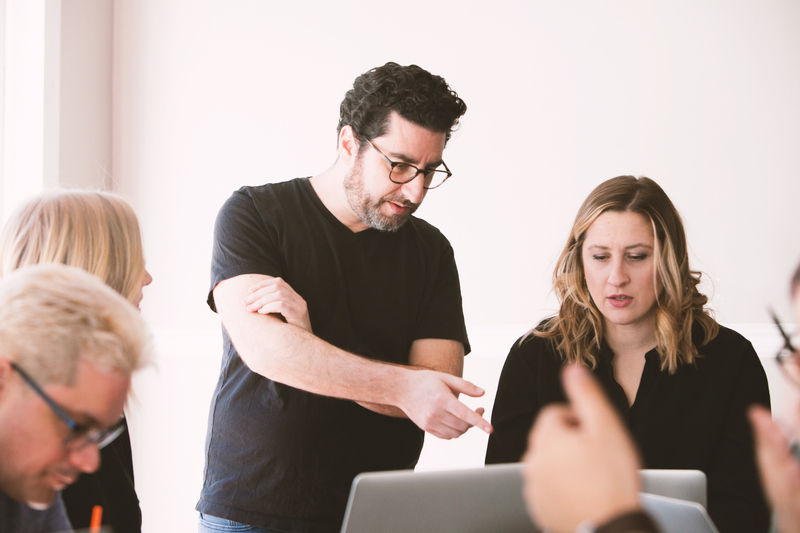 Through a series of workshops and exercises, we dug into the goals of the website and brand, but more importantly, the broader mission and goals of the organization, the programmatic strategies, and the make-up of the team. We also explored audience behavior and user needs and dug into research on the topic itself. 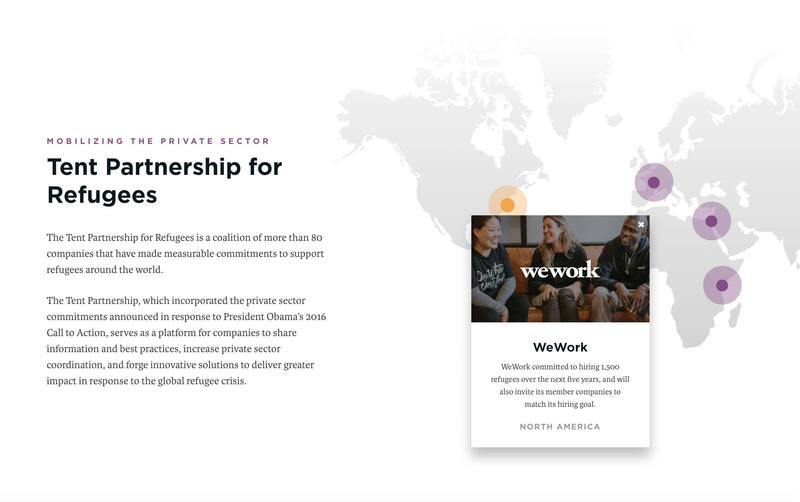 To deepen engagement from corporate partners in helping to solve the world’s refugee crisis, we focused on developing a trustworthy and solutions-oriented brand that leveraged partner stories to serve as social proof. To support that vision, we worked with the Tent team to identify core content types and creative assets we’d need to make it a reality. Once we determined a new art direction, site architecture, and core content, we built out the new responsive Tent website on WordPress. The site includes custom pages, flexible inner page templates, user permissions for editing/approving, optimized photos and videos throughout, and elegant UI flourishes on the front-end to make it fun and dynamic for users. We built it in a way that would be easy for a small team to manage internally, allowing them to easily cross-pollinate content across the site with little effort. 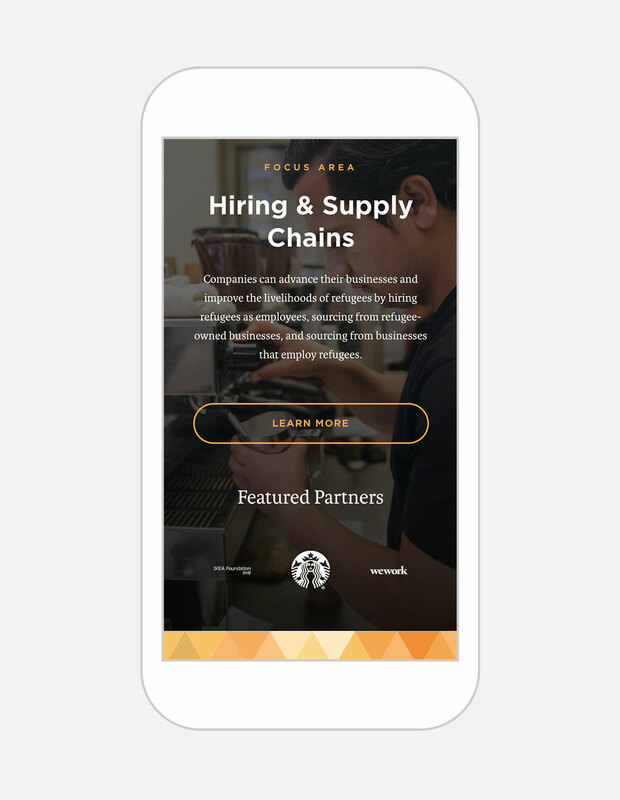 We included an interactive map to highlight compelling partner commitments, optimized the site to pull in social content and allow for sharing, and included clear calls to action on every page to increase engagement. The Tent Partnership for Refugees launched their new site at the end of 2017 and used it as an opportunity to build upon their previous success. All together, their 80+ corporate partners have provided support for nearly 200,000 refugees in 34 countries to date. Their work has been featured in Time Magazine, Fast Company, Forbes, The Guardian, and the Wall Street Journal. There’s still so much to do to improve the lives of refugees around the globe, but we’re extremely proud to play even a small role in that progress. Tent received an increased commitment from AirBnb, new commitments from Ben & Jerry’s and WeWork, and launched a new partnership with Mastercard. 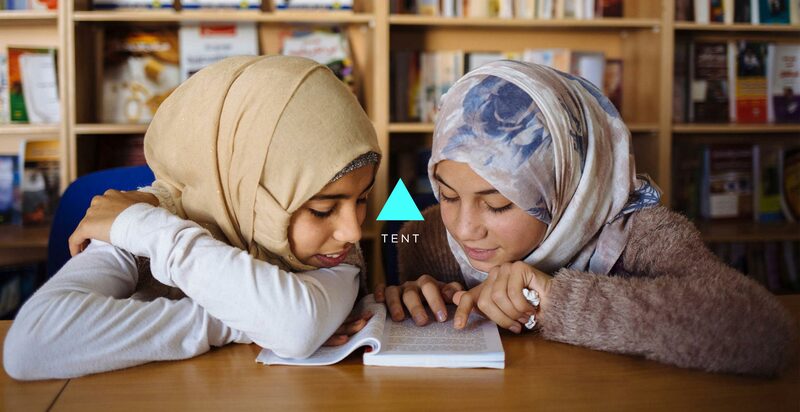 We continue to work with Tent to continue optimizing the site, crafting new campaigns (including a user-generated content and social campaign for World Refugee Day), and providing digital and content strategy. Looking for a career making a difference in the world?